WiFi Pro FTP Server Convert your android phone/tablet into a FTP Server! 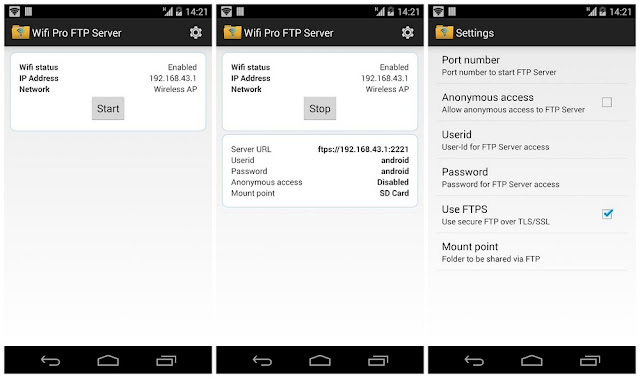 Use WiFi Pro FTP to host your own FTP Server on your phone/tablet. 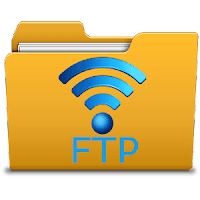 Use the FTP Server to transfer files, photos, movies, songs etc...to/from your android device using a FTP client like FileZilla. WiFi Pro FTP Server Port number should be greater than 1024 as binding to ports like 21 will not be possible on non-rooted phones. The default port number is configured to 2221 and can be changed from settings screen. For security reasons, anonymous access is not enabled by default. It can be enabled from settings screen.